* Four bedroom and four and a half bathrooms, sleeps 12. Sleeping accommodations include: two kings, two fulls, two twins, and one queen sleeper sofa. 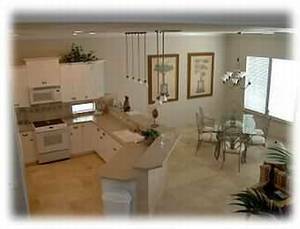 * Gourmet kitchen, marble flooring, ceiling fans, icemaker, and air conditioning. 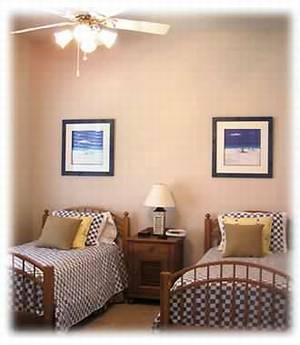 * Master bedroom suite with sitting area, morning kitchen, private balcony, and whirlpool tub. Amenities: internet connections, cable TV & VCR in each room, large TV with stereo with surround sound & DVD player, complete home stereo with CD player, indoor & outdoor speakers, telephone, fireplace, air conditioning, full kitchen, microwave, dishwasher, refrigerator, separate ice maker, cooking utensils provided, linens provided, washer & dryer, hot tub (shared), 3 pools (shared), tennis courts, spa, exercise room, putting green, covered parking, gas grill (BBQ), pets not allowed, no smoking. Activities (on site or nearby): biking, golf, tennis, basketball, fitness center, gym, miniature golf, fishing, shopping, restaurants, swimming, snorkeling & diving, boating, water-skiing, windsurfing, parasailing, jet-skiing, beach service available upon request. 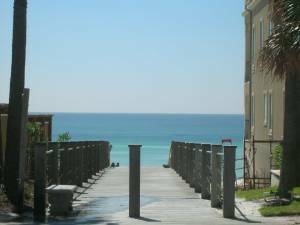 Let "Ocean Place" be your home away from home in Destin's most beautiful community, "Destiny by the Sea." Fully equipped kitchen with barstools at the countertop and dining room. 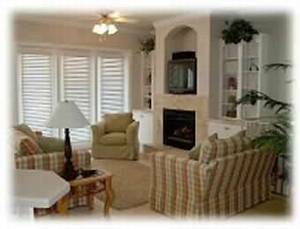 Living features gas fireplace, Cable TV with full stereo and triple doors leading to balcony and gas grill. Twin beds with private bath. 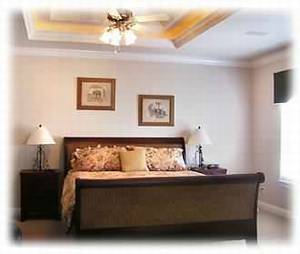 Lovely master bedroom with lighted trey ceilings, ceiling fan, private morning kitchen, balcony and spectacular bath. 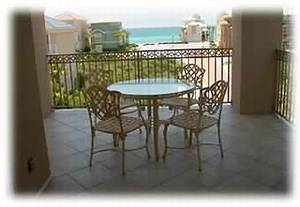 Enjoy rich sunsets from you master bedroom on this private balcony off the master bedroom. 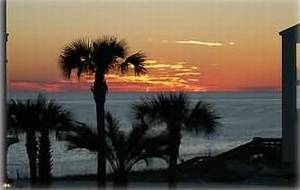 Enjoy breathtaking sunsets over the Gulf of Mexico from this beautiful home! View of the pathway to the most beautiful beaches in Florida! Beautiful home. I love the location. So close to everything. Great pool in the gate community. Very relaxing vacation. Would definitely do it again. Our one month stay at Ocean Place was great! Our family and friends had comfortable rooms. The kitchen had everything we needed to cook in or grill out on the balcony. No problems, no hassles with anything. The house is lovely, fully appointed and comfortable! We cannot wait to return! All weekly rates do not include tax. 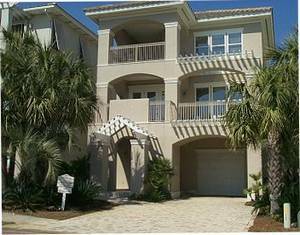 Fall (Sept 08 - Oct 27), $2200 per week plus tax. Winter (Nov - Feb 28) $1800 per week plus tax. Monthly rates available for Winter Rentals. Call for prices. Required Stay: One week - Sat through Sat.